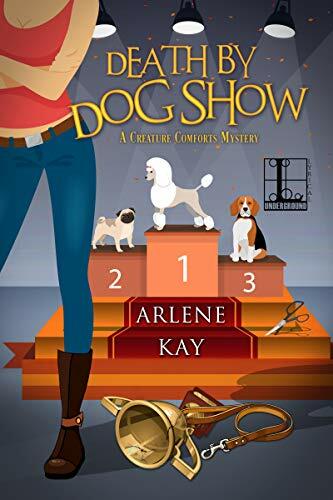 Light and easy cozy mystery set in the world of talent agent, Kay, who provides animal actors to television and film productions. Bird, Bath and Beyond is a nice afternoon’s entertainment with no graphic violence or language. Celebrity parrot, Barney, is the sole witness to the death of television star, Dray. When Detective Bostwick asks Kay to question the parrot, she explains that it takes hours to teach parrots to speak specific phrases. Immediately, Barney says “Put down the gun.” When Bostwick arrests a suspect, the suspect asks Kay, who is also an attorney, to represent them. Since Kay is an entertainment lawyer, she calls on a defense attorney for help. However, she decides to also try to find the real murderer. 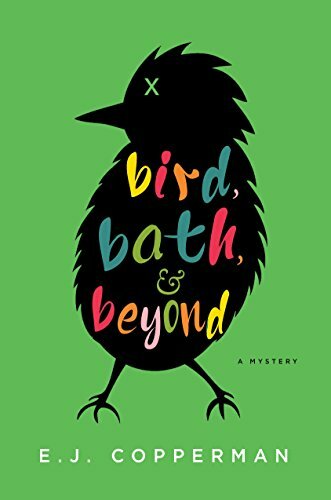 Bird, Bath and Beyond is the second in the Agent to the Paws Mystery series but can be read as a stand-alone. 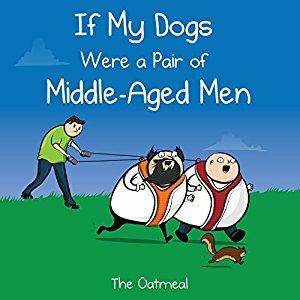 The humor and animals are the best part of this cozy mystery. There are many funny sub-plots such as her new gigantic dog, her theatrical parents, her love interest and her aspirational assistant. Despite some red herrings, the mystery was relatively easy to solve. This book is recommended to readers of Stephanie Plum who want a more family-oriented read. 3.5 stars! Thanks to the publisher, Minotaur Books, and NetGalley for providing an advance copy in exchange for an honest review. Good solid cozy with authentic characters. Kate owns a yoga studio. Michael, her live-in boyfriend, owns a pet store. Together they are renovating the house they live in that Kate inherited in Seattle. After not getting the engagement ring she was expecting, Kate asks Michael why they aren’t moving forward in their relationship. Michael tells Kate that he is already married to Gabriella who is still living in his hometown in Oregon. He insists that it is a sham marriage to get her a green card but agrees to ask her for a divorce. Kate, Michael and their dog go to Oregon though Kate has not forgiven Michael for his deception. Michael stays with his sister Shannon. Kate stays with her best friend Rene with husband Sam, 3 month old twin daughters and two labradoodle puppies. Kate, Michael and their 100 pound German Shepherd, Bella, confront Gabriella, who is reluctant to speak to Michael. During a doggy beach run the next day, Bella finds Gabriella dead. Kate and Rene have solved four murders in the past two years. To clear Michael’s name, they begin investigating the crime. Kate, Rene and Shannon are delightful characters. Each have their own quirks and personalities. Kate and her dog Bella suffer from pogonophobia, the irrational fear of beards. Bella also has a stomach disorder, which is how Kate and Michael met. Shannon is a hoot and is the perfect person to have at Michael’s back. Rene is the perfect partner in detection. Even though she calls herself Watson to Kate’s Sherlock, she can hold her own when interrogating suspects or investigating clues. 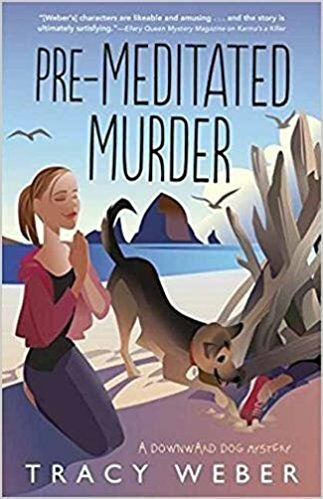 Overall, Pre-meditated Murder is a good choice for cozy mystery fans. It would especially appeal to dog fans. The yoga is minimized and all terms are explained so even readers that are not into yoga will enjoy this book. 3.5 stars rounded up to 4. Thanks to the publisher, Midnight Ink, and NetGalley for an advance copy. 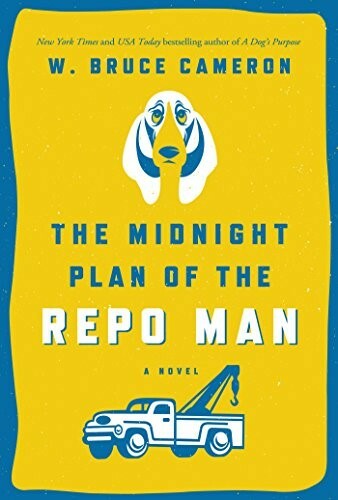 After reading the first book in this series, The Midnight Plan of the Repo Man, and absolutely loving it, I wanted to read the next book in the series. This is actually a short story that took me less than an hour to read on my Kindle. 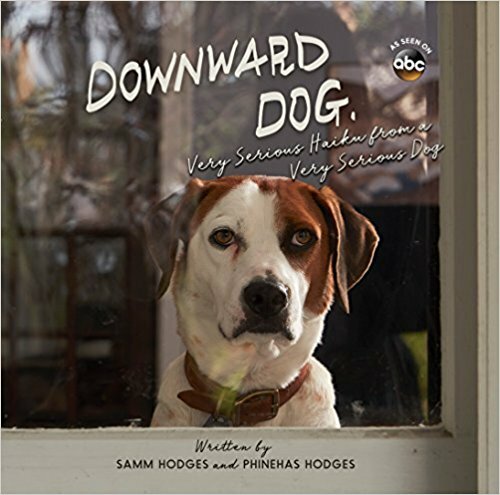 It is also a prequel to the first book that more fully explains how Ruddy got Jake, his lovably lazy bloodhound. The story is briefly detailed in the first book so the surprise of finding Jake was no surprise. Only for that reason, I would recommend reading this book before reading Midnight Plan. However, my biggest problem is that Alan doesn’t appear in this book at all and he was a favorite of mine from the previous book. 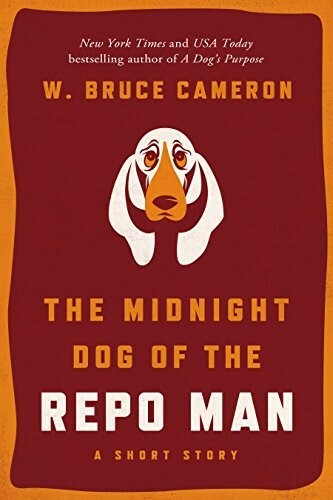 Overall, I would recommend this book even though I liked Midnight Plan better.